Nature in the Virgin Islands is absolutely stunning! Spectacular vistas, beautiful land and seascapes, lush greenery and brightly colored, sweet-scented flowers are everywhere. 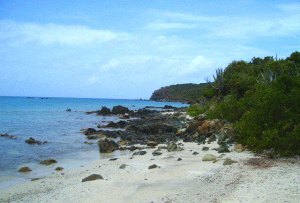 This and the varied animal life on land, in the air and in the sea offer some of the most attractive aspects of your time in the Virgin Islands. It seems that everywhere you turn in the Virgin Islands, you experience some aspect of nature. 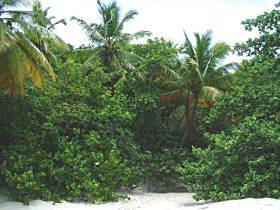 There's an immense array of plant life in the Virgin Islands which creates an overwhelming, lush greenery. There are also riotous bursts of color everywhere you look from the hundreds of varieties of flowers that grow so readily here. And it's not just the visual beauty of the island foliage that's so appealing; the air is constantly rich with the smells of the greenery and the sweet aromas of the flowers that bloom at all times of the year. The land itself is another thing that makes nature in the Virgin Islands so remarkable. From the steeply angled mountains of St. John and St. Thomas to the rolling hills and sweeping plains of St. Croix, the land itself offers plenty of opportunities to explore nature. You can explore the mangrove-lined estuaries of St. Thomas. Or hike or ride a horse through St. Croix's rain forest and explore the island's wildlife refuge and the Salt River park. And you can experience an enormous array of opportunities on St. John. You can explore nature in the national park and around much of the rest of the island. And, of course, there are the beaches. Dozens of them, each more beautiful than the last. All three islands boast some of the most attractive beaches anywhere. You could spend weeks or months exploring them all. 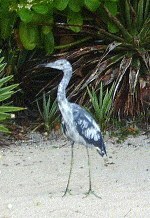 Nature in the Virgin Islands doesn't stop at the beaches, either. As a matter of fact, some of the very best nature is beyond the beach; the waters around the islands contain some of the best coral reefs, with the tremendous variety of life that goes with them, anywhere in the world. 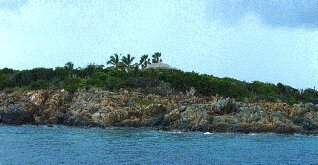 To see a description of Virgin Islands sea life, click here. There are also plenty of opportunities to see wildlife; in the sea, on land, and in the air. Sea turtles nest on protected beaches. The waters around the islands teem with tropical fish. The forests are home to mongooses, wild donkeys, native bats, and even white-tail deer. Small lizards scurry through gardens and up the walls of old buildings. Butterflies and tropical birds fill the air with color and song. is something you definitely don't want to miss!